Promoted by the socialists, communists or anarchists 1 May was chosen to be International Workers’ Day in order to celebrate the economic and social achievements of workers. On one hand, 1 May is known for welcoming the spring and for flowers. On the other hand, it is a celebration of laborers. The date was chosen for International Workers’ Day by a pan-national organization of socialist and communist political parties, to commemorate the Haymarket affair, which occurred in Chicago on 4 May 1886. The May 1, 1886, labor action wasn’t just any strike—it was part of what became known as the Haymarket affair. On May 1 of that year, Chicago (along with other cities) was the site of a major union demonstration in support of the eight-hour workday. A few minutes after ten o’clock on the night of May 4, 1886, a storm began to blow up in Chicago. As the first drops of rain fell, a crowd in Haymarket Square, in the packing house district, began to break up. At eight o’clock there had been 3,000 persons on hand, listening to anarchists denounce the brutality of the police and demand the eight-hour day, but by ten there were only a few hundred. The mayor, who had waited around in expectation of trouble, went home, and went to bed. The last speaker was finishing his talk when a delegation of 180 policemen marched from the station a block away to break up what remained of the meeting. They stopped a short distance from the speaker’s wagon. As a captain ordered the meeting to disperse, and the speaker cried out that it was a peaceable gathering, a bomb exploded in the police ranks. It wounded 67 policemen, of whom seven died. The police opened fire, killing several men and wounding 200, and the Haymarket Tragedy became a part of U. S. history. 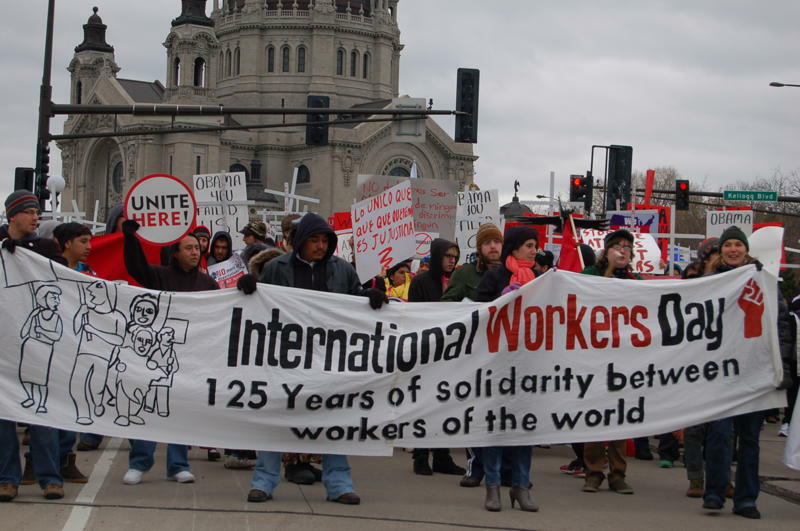 In 1889, the International Socialist Conference declared that, in commemoration of the Haymarket affair, May 1 would be an international holiday for labor, now known in many places as International Workers’ Day. Stand up for your rights-and the rights of all workers! The International Workers Day or May 1 is celebrated to keep an end point for the struggles as well as to promote the requirements of eight hour working day. In earlier days the working time to the laborer is very severe and working hours are nearly 10 to 16 hours in a day also in the unsafe conditions. Deaths, injuries and other unfair conditions in the workers are very quiet common at the workplaces from the 1860’s and working people are very agitated in working throughout the day until the eight hours workday was declared. How International Labour Day is celebrated? International Labor Day is celebrated yearly as an official holiday all over the world- People enjoy celebrating the May Day or Labour Day by arranging the big party and lots of programmes. They decorate the banners and flags using colors just like an Independence Day celebration. Variety of news and messages are distributed by the TV channels and radio channels saying Happy Labor Day among people to increase social awareness about the Labour Day. Variety of other events is also organized by the International Labour Organization to celebrate the day. The theme of the Labour Day party celebration becomes any cartoon characters, western culture shows, sports, TV shows, movies, holiday activities, crazy fun activities and many more. Other Labor Day activities includes crossword puzzle, anagram puzzle, word search puzzle, code cracker puzzle, word scramble puzzle, phrase matching game puzzle and etc. This celebration has become a historic significance all over the world and celebrated by the Labor unions worldwide. Variety of demonstrations, speeches, protests processions, rallies and parades are organized by the working group people under the security arrangements to protect violence. How do we celebrate it in Bosnia and Herzegovina? In Bosnia and Herzegovina, 1 May is an official holiday at the national level. This day most of people from Bosnia and Herzegovina celebrate by visiting natural parks or resorts with family and friends. In Bosnia and Herzegovina, May is Barbecue month. 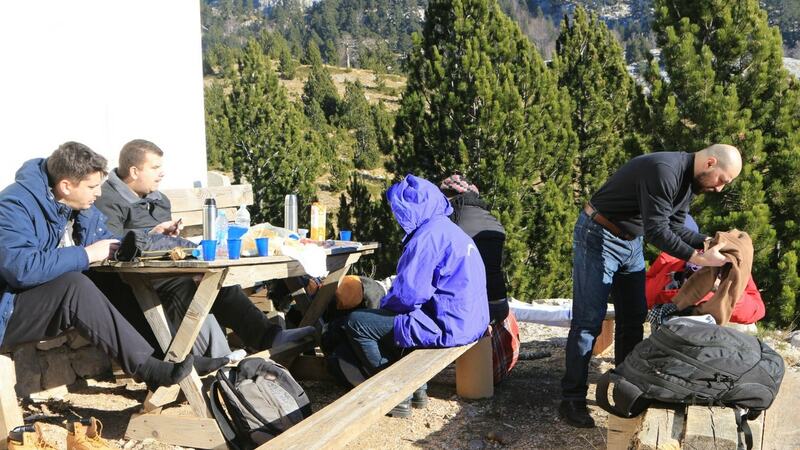 It is the start of the outdoor cooking season for most of people. Here in Mostar, where we cook outdoors all year long, 1 May is a opportunity to prepare our favorite dishes while enjoying the outdoors with our family mainly on the river Neretva or Buna.